Who can be a member of the board of directors? Any member meeting the qualifications as set by the HILCO Electric BYLAWS. What is a Credentialed Director? A person becomes a credentialed director on the first full day after all course work necessary to earn the NRECA Credentialed Cooperative Directors Certification is completed. Is a board member compensated? A board member is compensated for the time spent serving the cooperative. This includes, but is not limited to, monthly electric board meetings, Brazos Electric board meetings, San Miguel board meetings, training sessions required by the HILCO ByLaws or recommended by NRECA, special committee member meetings, or representing the cooperative at other cooperative-related functions as deemed necessary by the board of directors. Based on information provided by NRECA, or national affiliate, the directors of HILCO are compensated similarly to other board members serving cooperatives of HILCO's size. Can I choose my electric energy provider? When asked on prior member surveys, HILCO has asked the members if they wish to opt into competition. Every year the overwhelming majority of members indicate they do not wish for their electric cooperative to enter the deregulated market. Deregulation just has not proven to save the average residential customer money. When members judge their cooperative by the results it produces for them, HILCO members have every reason to be proud of the cooperative's board of directors, management, and employees as the members experience competitively low rates, are able to make contributions to the community, see solid financial strength, and have reliable electric service. HILCO is the leading force in promoting a strong economy in our area. Because a cooperative is owned by the local people and the businesses it serves, rather than far-away shareholders, it is a not-for-profit operation that returns excess revenues to its member-customer in proportion to the size of their electric bills. Our motive is to serve the members, not private profit. Each home and family is unique. The insulation level, how well the windows seal, whether the appliances are energy-efficient or not play into how much energy is consumed. The habits of the inhabitants also determine the usage. Things like how often laundry is washed and dried, whether window shades are kept closed, and the setting on the thermostat also contribute to the usage level. At HILCO Electric Cooperative, we understand the rising cost of electricity and provide information to our members on how they can save money. Whether a member uses the energy calculator off the www.hilco.coop website, reads the tips published each month in our Texas Co-op Power magazine, or requests a free energy-savings guidebook to be mailed, HILCO Electric Cooperative works to find ways to disseminate information to our members. Additionally, thanks to the capabilities of our TWACS metering system, we can provide members with daily meter readings. Many members find this information useful in assisting them with tracking when their usage increases. Another service the cooperative provides to the members free of charge is an extensive one-on-one home energy audit. After completing a short questionnaire, a representative will meet the member in their home an suggest ways to help lower their usage. How can I establish new service? The phones at HILCO Electric Cooperative are answered twenty-four hours a day. If you are building a home, simply call the office and speak with a representative. They will set up your service and arrange for a member of our staff to come to your location and discuss options for your new service. If you have any problems with your existing service, you can call the office and speak with a representative who will send a serviceman to your location for repair. All calls are answered by HILCO Electric Cooperative employees whose offices are conveniently located in Itasca, Whitney, and Midlothian. During times of high call volumes, such as during an outage, members are also given the option to leave a voice mail message so that they do not have to wait for the first available representative. We continually work to ensure our members have the power when they need it. Our work plans include upgrading existing services to meet the demands of our growing cooperative, as well as include plans to maintain clearance through tree trimming. As of the end of 2011, our 5 year average outage time per member was 1 hour. However, due to storms, animals, or even vehicle accidents, we do have unavoidable outages. When outages occur, our focus is on restoring as many members as possible as quickly as possible. The general guideline is to start at the substation level. By restoring service to the substation, many members will have their service restored. The next level would be at the feeder level, then the phase level, and finally, we work on restoring power at the individual transformer and service level. Priority is given to individuals who have a documented medical necessity for electricity. What does PCRF stand for? The electric utility industry possesses its own set of acronyms, PCRF is one of those. PCRF is an acronym for Power Cost Recovery Factor and it is something HILCO Electric Cooperative deals with on a monthly basis. The PCRF is the rate component, on all electric bills, that is a direct reflection of the fluctuating cost of fuel required to run an electric generation plant. Since HILCO is a distribution cooperative, we purchase our wholesale power from a generation company, Brazos Electric Power Cooperative. Brazos generates approximately 84% of its electricity and purchases the remaining amount needed to meet its demand. When fuel prices rise, it costs Brazos more to produce electricity and those costs are passed through to HILCO and its members by an increase in the PCRF. So while HILCO's rate for the price of electricity has not changed, members will pay more with an increased PCRF. One way to think about PCRF is to compare it to the cost of gasoline for your car. Even though your monthly car payment (the rate) hasn't gone up, the car you drive is costing more to operate now because just as fuel prices have risen, for generated electricity, so have gasoline prices at the pump (the PCRF). 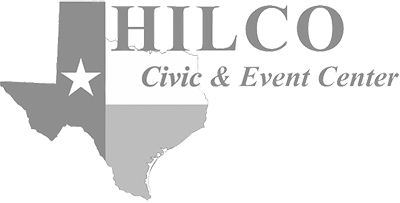 Increases in fuel prices do not just affect HILCO or Brazos - nearly every electric utility in the nation is facing this same issue. The demand for electric generation continues to increase. As we all know, with demand high and supplies lower, the price is going to rise. To minimize the impact of this charge on our members, every attempt is made to "level" the PCRF monthly, rather than to pass on the sometime extreme monthly fluctuations from our wholesale supplier. However, significant changes in fuel charges may make it necessary to adjust the PCRF more dramatically. The main advantage of monthly changes in the PCRF is that it is more responsive to changes in fuel costs. If fuel costs go down our members are not stuck with a higher cost indefinitely. 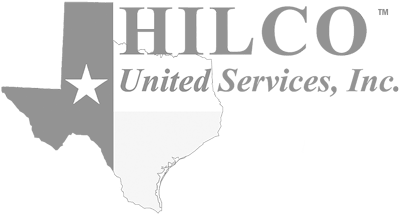 Investor owned utilities, such as TXU, can only make rate adjustments for changes in fuel costs twice annually and must gain approval from the Public Utility Commission of Texas to do so. This means their fuel cost adjustments may remain higher for their customers for an indefinite period of time and no one knows for certain when or if fuel prices will decrease from their current levels. How is a cooperative different that an investor-owned utility such as Oncor? Cooperatives are democratically controlled with the one member/one vote principle. Additionally, cooperatives are not-for-profit organizations. When surplus margins occur, the members benefit by receiving patronage dividends.